Prior to this evening’s workshop performance, the only time I had seen Sarah Jones perform live was in 2004, when I snagged a ticket to her off-Broadway show, Bridge & Tunnel. I was completely blown away. It was improv, it was art; it was like watching someone act as both the architect and builder of a character right before my eyes. Here’s Sarah’s TED talk from 2009. Watch the entire “talk.” You won’t regret spending 21 minutes experiencing cultures intersect and characters emerge through the vessel of one extraordinary human being. Also, if you’re in New York, get over to the Nuyorican Poets Cafe to see Sarah workshop her new show. In the words of Gloria Steinem (the featured guest at tonight’s show), “Sarah carries the world inside her.” Improv and art intersect with humanity and politics in beautiful, smart, funny, and fascinating ways. I cannot say enough about Sarah and this show except, GO, go go! Four banjo songs in one post! Awesome! 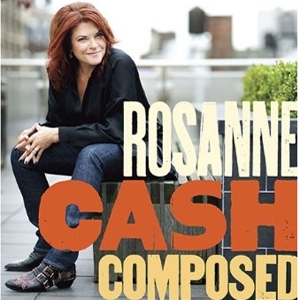 I’m in the middle of reading musician (and fellow Chelsea resident) Rosanne Cash‘s memoir, Composed. I first read Rosanne Cash’s words in the NY Times‘ Measure For Measure blog, before I had heard any of her or her family’s music. It’s an odd thing to read a singer/songwriter and not hear them first, but something in her words and the way she talked about the act of composing a song made me know, instinctively, I would like her work. I’ve always been fascinated by the songwriting and composition process, but I had found it hard to understand or connect with the explanations some musicians gave in interviews. It either seemed to be too general or too insider-y. Cash’s posts on Measure changed that. She was eloquent and insightful and demystified the process for the layperson — without talking down to them. It was the first time I felt as if I was inside the mind of a musician. It was a transporting experience. When the NY Times retired Measure For Measure, Cash’s music helped fill the void — and following her on Twitter helps, too — but it has been great to read her words again. Her beautiful prose and descriptions are, at times, reminiscent of Victorian poetry. I can’t wait to turn the page, but I also don’t want it to end. If Rosanne Cash’s next book is written in Austen-ian dialogue and features pictures of vintage teacups, I think my book life would be complete. P.S. For those of you waiting to read about my efforts to retrace the steps of Raymond Enders’ 1914-1924 diaries, I’ll be posting an update on Thursday. Stay tuned!